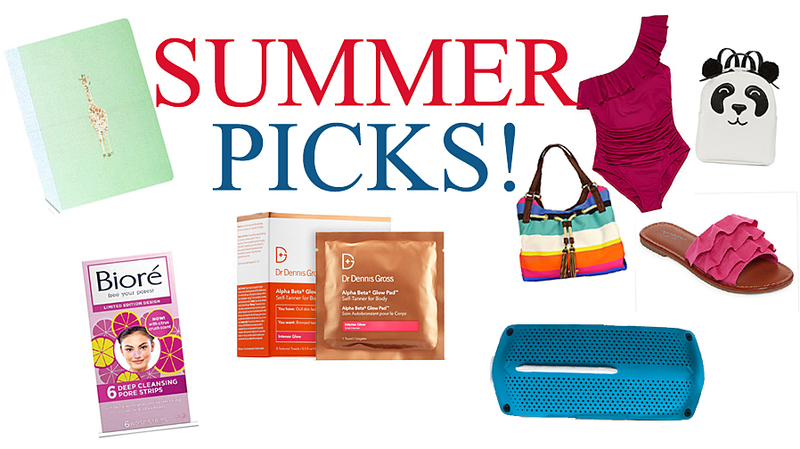 Enter to win my Summer Picks Giveaway. Winner will be chosen August 20, 2018 12 midnight EST. time. It's July and the last days of Summer will be here soon. to make the most of the rest of the season in style! from Martha Stewart, exclusively in the Staples stores. AdoptAClassroom.org to help students in your community get the school supplies they need to succeed. blackheads inside even your most clogged pores. So you have fewer breakout, and skip a face full of makeup. 4. GET YOUR GLOW ON! looking tan that’s never orange, but it’s also designed to nourish your skin too, so your skin has a beautiful glow. with a pair of ruffled sandals and a panda backpack to keep the look youthful and fun! sandal my Arizona brings it altogether. affordable fashion, home and beauty merchandise. This post was sponsored by the brands mentioned in my article, but the giveaway is sponsored by me!